If you are staying on Pensacola Beach, come down either Via DeLuna Dr or Fort Pickens Rd (depending upon which end of the island you are staying on) and turn north onto Pensacola Beach Blvd like you are leaving the beach. Sabine Marina will be on your LEFT just passed the large South Harbor Condo and Veranda’s Condo. If you pass Shaggy’s you’ve gone too far. Shaggy’s is just north and Hemingway’s is just across on your Right. Come across the Bob Sikes bridge through the toll booth. 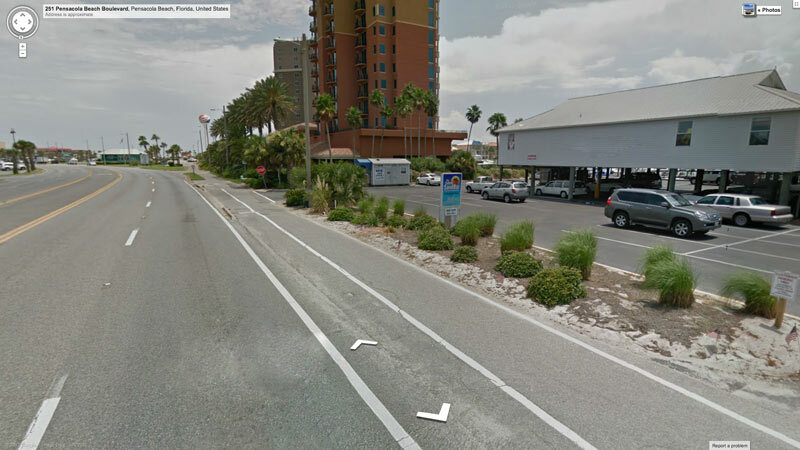 The Sabine Marina will be on your RIGHT hand side just past Shaggy’s with Hemingway’s Across the street on your left. If you pass the Veranda’s Condo’s on your right you have gone too far. Having issues? Click here for a map.